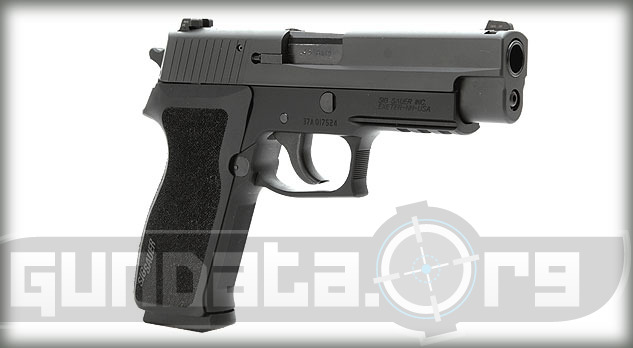 The Sig Sauer P220 was designed in Switzerland in 1975. 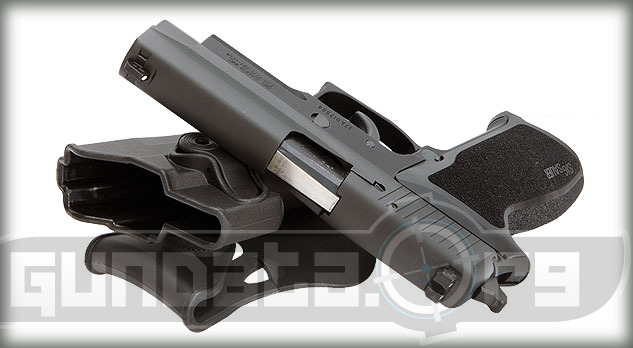 It is a semi-automatic large frame pistol that has since seen model upgrades and adaptions to fit the needs of the U.S. Military and gun enthusiasts. It features a 4-point safety system that includes, a decocking lever that allows users to switch between single or double action trigger pull, automatic firing pin safety block, along with a safety intercept notch, and a trigger bar disconnector. It has an accessory rail that allows users to mount a light or tactical laser onto it. 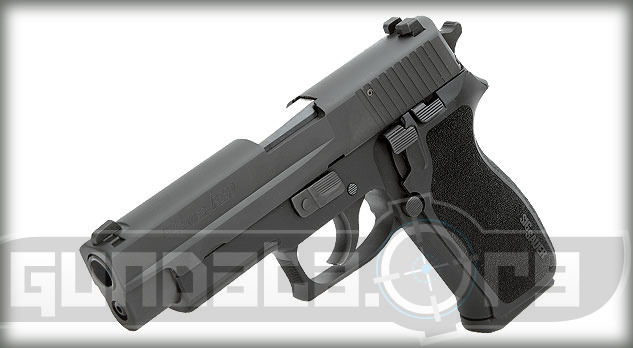 The overall length of the P220 is 7.7-inches (7.1-inches in carry models), with a height of 5.5-inches, and a barrel length of 4.4-inches (3.9-inches for carry models). The sights come in contract or the 3 white dot SigLite night sights. The trigger can either be single action, double action, or double action Kellerman with a pull of approximately 4.5-pounds (single), 10-pounds (double), and 7.5-pounds (DAK). 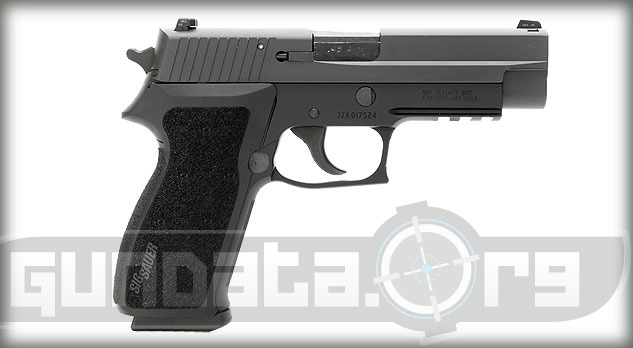 The magazine holds an 8-round clip of .45 ACP ammunition, and has an option for users to buy an extended 10-round clip. The frame material is made of alloy, with a black hard coat anodized finish. The slide is made of stainless steel, with a black Nitron finish.